Any opportunity to be in the sea is a good opportunity to go jelly-hunting, and the recent participation of HYPNO on a research cruise with the SponGES Project on RV Kristine Bonnevie this late April – early May was no exception! 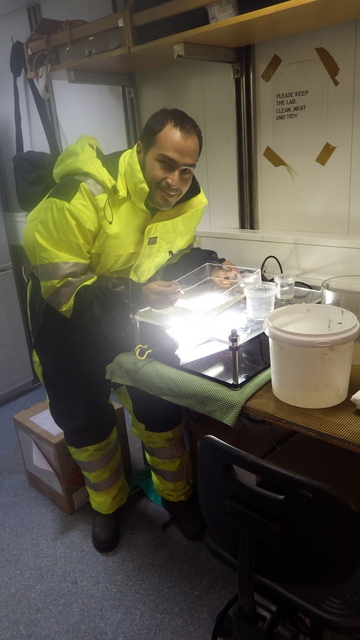 To begin with, we got the chance to sample some hydromedusae and siphonophores with the plankton net in Bømlafjord. 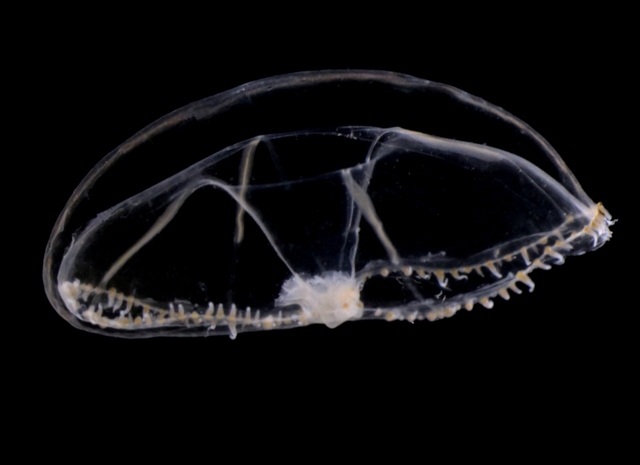 As usual, towing the net slowly (~0.3 ms-1) resulted in happy jellies (they get damaged if the net is towed too fast!) that sometimes can be identified with ease. 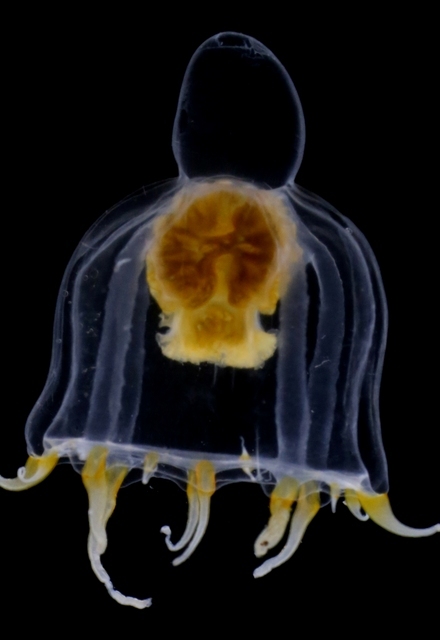 Over 15 different species of pelagic hydrozoans (plus some ctenophores and Tomopteris worms) were present in this vertical tow, with some nice looking critters such as the Eutonina indicans and Leuckartiara octona medusae shown below. But not only hydromedusae and siphonophores showed up this time; we also got our hands on benthic samples from grabs and trawls, and found hydroids growing on rocks and other sea creatures (mostly sponges and sea squirts). 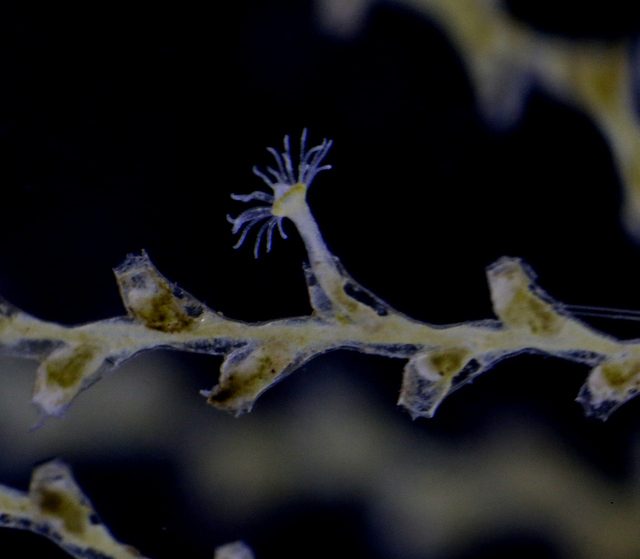 Abietinaria abietina and Sertularella gayi (pictures below) are among the most common hydroids observed so far, and they were hosting a whole bunch of other hydrozoan species growing on top of them: real mini animal forests from the Norwegian waters! 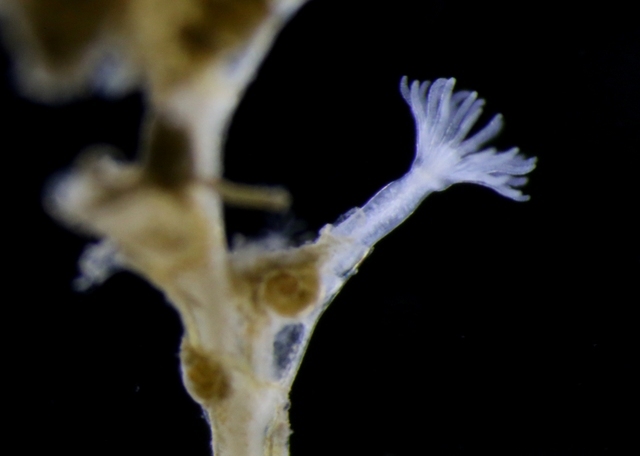 This entry was posted in Current projects, Field work, HYPNO, Photography and tagged Hydrozoa, HYPNO, pelagic hydrozoans on April 30, 2017 by katrine. Sea slug hunt in Egersund! New year, new field work!